TP Mechanical, a regional leader in mechanical, HVAC, plumbing and fire protection contracting, service and fabrication, recently announced it has entered into a mentoring relationship with SURE Mechanical, of Cincinnati. via TP Mechanical and SURE Mechanical leverage mentoring relationship for growth | Business Development content from Contractor Magazine. 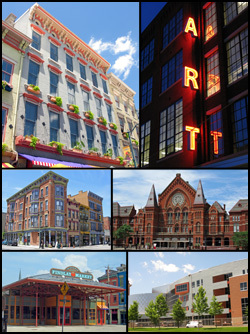 What is in store for the OTR District in Cincinnati? With all the redevelopment in the eclectic Over-the-Rhine District of Cincinnati Ohio, what could be in store for the future? This article from the Cincinnati Business Courier offers great insight on things to come. Read via Will Over-the-Rhine’s next generation of restaurants be bigger? – Business Courier.